Jacob Portman is a pretty normal boy. 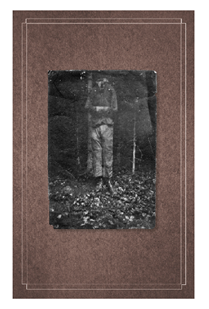 His grandfather, Abe, tells him fantastical stories about fighting in the war, travelling the world, and hunting monsters. Yes, hunting monsters. Abe tells Jacob about growing up at a home for children with special abilities which is run by a woman named Miss Peregrine. He even has pictures of the children that he shows Jacob. But, Jacob stops believing the stories and tells his grandpa to stop telling him lies. Abe agrees. Until one night, Jacob finds Abe’s body mutilated behind his home and when he looks into the bushes, Jacob sees a monster staring back at him. The death of his grandfather leads Jacob on a journey to find the home Abe grew up in and to search for the children he grew up hearing stories about. Jacob is about to give up his search as he is led to an old abandoned home. But, while looking through old pictures and papers he finds in the home, he hears the voices of children. They run when they see him, but he follows them through a cave and comes out the other side in a different time. He finds the home, the children, and the headmistress. Jacob learns that all of his grandfather’s stories are true and that he, in fact, is a little peculiar himself. 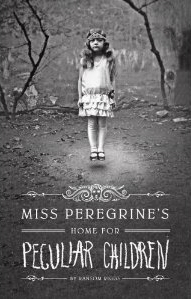 Miss Peregrine’s Home for Peculiar Children is interesting, well written, and creepy. 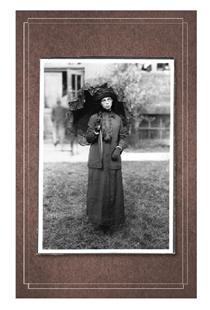 What makes it creepy is the fact that the author, Ransom Riggs, uses real vintage photographs that he found at flea markets and garage sales. With each weird picture he found, he formed another character for the book. Having the visual stimulus while reading makes the characters much more real and, I must admit, there were many times that I got goosebumps while looking at those pictures. For example, a girl that seems to be levitating a few inches off the ground (which is the cover art for the book), an invisible boy that can only be seen because he is wearing clothing, and a girl who seems to be making fire in her hands. 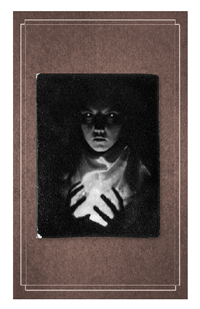 I have posted all of these pictures below, along with a picture of Miss Peregrine herself. This is Riggs debut novel and I think he did a fantastic job. I cannot wait to read more from him, especially if he continues to include the spooky pictures. Miss Peregrine’s Home for Peculiar Children gets an A.